Welcome to the AODS website. Have a look through this site to find out what we are all about, our next production and productions we have put on in the past. 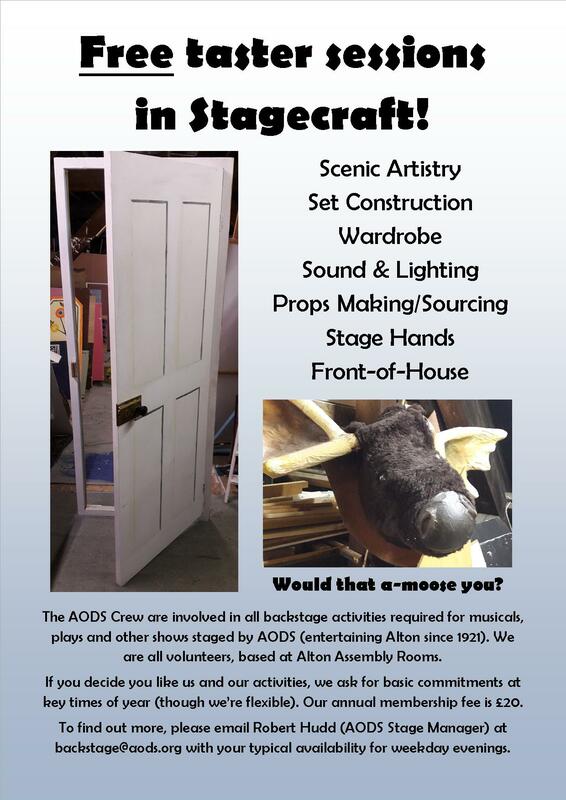 Founded in 1921, Alton Operatic and Dramatic Society (AODS) has grown to become a two-shows-a-year society which still supports causes in the local community as well as providing first class entertainment for the people of Alton, and a hectic social life for its members. The very latest news about what is happening in the society can be found on our Twitter feed or Facebook page. If you are a society member you can also join the conversation about AODS on our Facebook group! We are always looking for new members, so if you like what you see on this website, please contact us about becoming a member! 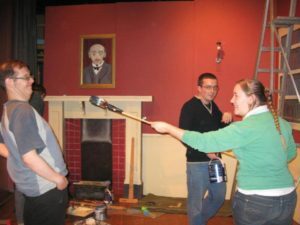 Amateur theatre, as with all theatre, is expensive to produce, with each show costing between five and ten thousand pounds. We are fortunate to benefit from a number of people who support us by voluntarily giving up their time to help put on and organise our shows. However, additional costs are inevitable to any production. These can include venue hire, script royalties, costume hire, lighting hire, sound hire, printing costs, construction materials and much more. Your sponsorship would go a long way in covering these extra costs, as well allowing us to continue producing the high quality and memorable shows that we have been recognised for locally for nearly 100 years. Since theatre performances are very public events, as well as being specifically targeted at Alton and the surrounding towns and villages, we can offer you plenty of publicity for you and your company in return. We have put together a number of sponsorship packages to cater for all budgets – please see our Sponsorship Form for details. 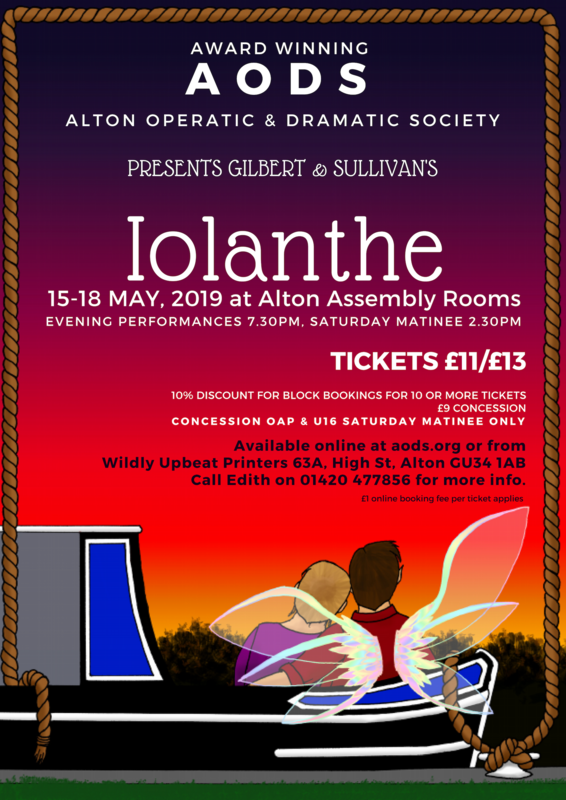 The musical has now been cast – see the Iolanthe page for more details. Iolanthe is one of the more timeless G&S musicals, and we’re bringing the story into the 21st century. You can now buy tickets for this production online or at the box office. There’s probably a role for you in the AODS crew! If you experience any problems with this site, please contact the webmaster.